Vermont Vacation Hotel. Set in the Green Mountains of Vermont our beautifully landscaped hotel features an indoor heated pool, sauna, whirlpool, sun deck, fitness room, video arcade, laundry, gift shop, and meeting facilities. From the moment you check in, your Vermont vacation begins! Vermont's Kingdom of Play. Vermont's Northeast Kingdom is an unspoiled region of natural beauty, covered bridges, small farms, country roads, quaint villages, pristine lakes, and majestic mountains – a four-season paradise for outdoor enthusiasts. Whether you’re a biker, hiker, skier, snowmobiler or leaf peeper, you’ll enjoy the gentle rolling hills, fresh air, and friendly Vermont hospitality. savor the historic charm of our heritage-designated country inn. Take in spectacular scenery of nature at its finest. Capture the warmth of true Quebec hospitality. Indulge yourself by sampling our award-winning wine list and fine regional cuisine. With a stroll through the Byward Market district, youll discover open air markets, museums, and historic avenues. 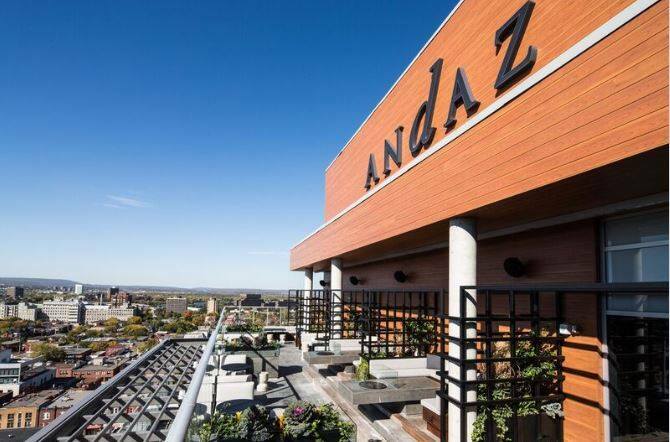 Andaz Ottawa Byward Market promises a coveted urban location, with spacious guestrooms that celebrate one-of-a-kind facets of Canadian design. Experience the essence of renewal and tranquility in the nations capital. Located in the heart of the city, The Westin Ottawa is the destination for business and leisure guests alike. Complementing the Westins ambience are its indoor walkways to both the Rideau Centre Shopping Mall and Ottawa Congress Centre. The ideal location of The Westin Ottawa provides guests an opportunity for exploration of the many historical and cultural elements of the city. The Albert at Bay Suite Hotel in downtown Ottawa is near Parliament Hill, Lebreton Flats, the Canadian War Museum and Sparks Streets shopping & nightlife. Located near key government & commerce locations in the core of Ottawa, hotel guests enjoy easy access to all Canada's Capital has to offer. Arc The Hotel is a luxury hotel Ottawa offering the most discerning traveler the luxuries and conveniences of home. Whether you are traveling on business of pleasure Arc The Hotel Ottawa is one of the top boutique hotels in Ottawa and provides an unique experience not found in any other Ottawa hotel rooms. The Best Western Barons Hotel and Conference Centre is conveniently located 15 minutes west of downtown along the scenic Ottawa River Parkway with easy access to key attractions including Parliament Hill, General Dynamics, Kanata Leisure Center and Scotiabank Place-home of hockey's Ottawa Senators. Hotel guests will appreciate the variety of nearby shopping and dining options, including the on-site Delicious Steakhouse offering international favorites. Welcome to the award winning Best Western Cartier Hotel and Conference Centre Ottawa-Gatineau. Located within a stones throw of Ottawas downtown, the Best Western Cartier Ottawa-Gatineau is the only waterfront property offering spectacular vistas of Canadas Capital and of Parliament Hill. Nestled in the heart of Gatineaus business district come experience hospitality in both of Canadas official languages. The Best Western Macies Hotel is conveniently located near Canada's Parliament Hill and major businesses and commercial parks in the west end of Ottawa. Hotel guests will also have easy access to a number of recreational and cultural activities in downtown Ottawa. Best Western Victoria Park Suites is located in downtown Ottawa & situated steps away from the world famous Rideau Canal, Elgin Street's shopping and nightlife. Our guests enjoy easy access to key government & commerce locations. Meeting facilities with natural lighting and state of the art conveniences provide the environment for productive and effective meetings. Brookstreet is located in Ottawas thriving high-tech community. This leading four-diamond boutique-style hotel and business destination features 22,000 square feet of elegant meeting space, the latest conference technology and high-speed Internet access in every room. Start your day at Brookstreet Café, proudly brewing Starbucks® coffee. Four-diamond Perspectives Restaurant is designed for executive dining allowing you to seal the deal in style. Downtown Accommodation - The Convenience Of Your Office And The Comfort Of Home. The Business Inn is an All-Suite Apartment Hotel in Ottawas beautiful downtown, conveniently located only minutes from the Parliament Buildings, the Rideau Canal, the Rideau Centre shopping mall, and much more. Whether you are in Ottawa for business or pleasure, for a few days or for an extended stay, The Business Inn is right for you. The Capital Hill Hotel & Suites is the perfect combination of location, facilities, experience and value. Located in the heart of the Nation's Capital, we are situated in the midst of the city's business & tourist district. With 150 oversize guest rooms in a twelve story building, we are known for our friendly service and excellent location. Guests will find convenient our meeting and banquet facilities, main floor business centre, fitness room, comedy club and on-site restaurant. A Quality Suite Hotel in Ottawa, Ontario featuring Luxurious Downtown Lodging Accommodations in a Resort Atmosphere. Come enjoy one of downtown Ottawas most unique suite hotels. The Cartier Place Hotel is ideally located just a few minutes from Parliament Hill. Youll find our lodging accommodations nestled deep within a quiet neighborhood, located between the Rideau Canal and the trendy boutique area of Elgin Street. You can use our locator map to view our location (180 Cooper Street at Elgin). Luxurious accommodation, convention centre, spa and golf, 8 minutes from Ottawa. Overlooking 152 lush green acres beside the Ottawa River, Château Cartier has all the charm of a resort hotel yet is only eight minutes from downtown Ottawa and two minutes from the Champlain Bridge. The Chimo Hotel - Ottawa offers 256 well-appointed guest rooms and suites, for your comfort and enjoyment. Whether you're here for business or pleasure, we will ensure your stay is as convenient and delightful as possible. Located eight minutes from Ottawa, Hotel Clarion Gatineau awaits you with it warm Quebec hospitality and its unique ambiance! Hotel Clarion Gatineau is an establishment of superior comfort, among the best, with superb facilities and a wide range of services and amenities. We are proud to offer clean, comfortable rooms with a welcoming smile. In the morning, please join us in the lobby for Free "Comfort Sunshine" Breakfast. Looking to enjoy the summer months? Come and explore the Gatineau Park and the Rideau Canal on bicycles, all within a few minutes drive of the hotel. Just minutes away from downtown Ottawa and within walking distance to the St-Laurent Shopping center. All our rooms are equipped with coffee makers, hairdryers, and irons & boards. Downtown property, just a 5-minute drive to the historic Rideau Canal, Parliament Hill, art gallery, museums, shopping center, and the Byward Market, 5 minutes to rail station, riverwalk, and bicycle trail. FREE continental breakfast, in-room coffee, FREE local calls, and FREE newspaper (Monday-Friday). FREE car parking. All rooms have dataports. At the Courtyard by Marriott Ottawa hotel, we know travellers better than anyone, except perhaps you. That's why we've designed our hotel just for you. We help you keep in touch with what matters by offering FREE Wireless hi-speed Internet access right in your guestroom. Rooms are spacious with room to breathe and guests love our Marriott Rewards® - the fastest way to earn free hotel nights or free flights around the world. Every season provides a reason to treat yourself to the best that Ottawa has to offer! Visit with us and you'll find the Nation's Parliament buildings, Museums and the Rideau Canal at your fingertips. Located in Ottawa's political and business hub, you can dine in our highly acclaimed restaurant, then relax in your well-appointed rooms, enjoying many of our in-house amenities and services tailored to your special needs. Alternatively take advantage of our comprehensive business and conference facilities. Steeped in heritage and culture, and with a splash of pomp and pageantry, Ottawa, one of the worlds most beautiful capitals, extends a warm Canadian welcome to more than five million visitors each year. No longer just a government town, Ottawa has evolved into a cosmopolitan capital of appealing neighbourhoods with many interesting sights, sounds and tastes. Where else will you see North Americas only changing of the guard, modelled on the ceremony at Londons Buckingham Palace? What about one million colourful tulipsa gift from the Dutchin bloom each spring? How about a working farm right in the heart of a vibrant capital? Welcome to Doral Inn, located in downtown Ottawa, walking distance to most major conference facilities*, and attractions including Parliament Hill & the new Canadian War Museum. One of Ottawa's most centrally located hotels in the downtown core, we offer convenient accommodation and comfort for your downtown business, meeting or holiday travel needs. Tucked away amid the hustle and bustle of the city is our Ontario hotel  one of Ottawa's best-kept secrets. And the thing about a good secret is that sooner or later, someone's going to spill the beans. FREE Parking, WiFi Internet, Gym. Our hotel is designed especially for longer stays with studios featuring fully-equipped kitchens and plenty of work space... amenities you won't find in a typical hotel room. Warm and Genuine Smiles. Leave your worries at the door once you arrive at the Four Points by Sheraton & Conference Centre Gatineau-Ottawa. Once you meet the friendly and helpful staff and kick back in the hotels relaxed atmosphere youll know you made a great choice. Picture yourself in Gatineau-Ottawa where a lake, a beach, dinner with a show, a night at the Casino, a day at the spa, a walk through a lobby filled with Dale Chihuly's blown-glass art work and lounging alongside a clear blue pool awaits you... Don't wake up - it's OK to be day-dreaming... The Hilton Lac-Leamy hotel has it all! Located in Downtown Ottawas trendy Golden Triangle district, Holiday Inn Hotel & Suites has been a familiar landmark of Ottawas landscape for over twenty years. Our ideal location places us mere steps from the UNESCO Heritage site Rideau Canal, where you can stroll, bicycle or skate past many of Ottawas greatest historical and contemporary points of interest and festivals. Within a short walk you will find trendy Elgin Street laden with shops, restaurants and nightlife; the Parliament Buildings; the historic Byward Market; and the Ottawa Congress Centre. The Holiday Inn Plaza La Chaudière Gatineau - Ottawa hotel is conveniently located in the heart of Gatineau's Business District. Our four star property is minutes away from the Parliament Hill, the Canadian Museum of Civilization, the Casino du Lac Leamy and the Rideau Canal. Ideally located minutes from downtown Ottawa Ontario, is the award winning Holiday Inn Select & Suites Ottawa-Kanata. We are proud of our Ottawa hotel's superior product, but it is our personal & friendly service and smoke free environment that sets us apart from other Ottawa hotels. In addition, this Ottawa hotel is home to Ottawas premiere conference facilities specializing in hosting corporate meetings and weddings. This hotel features over 5,000 sq. ft. of function space divided into 7 rooms. When you stay at Les Suites Hotel, Ottawa, you really do have the best of everythingthe luxury of a great location and the comfort of spacious elegance. Situated in the heart of downtown Ottawa, Les Suites Hotel is next door to great shopping at the Rideau Centre and surrounded by fine dining and entertainment. Ideally located near major travel routes, government offices, and popular attractions, we offer the perfect location for business travelers and leisure guests alike. One of the nicest Ottawa hotels and ideally located in the heart of downtown Ottawa - directly across from Confederation Park and the National Arts Centre. The Lord Elgin Hotel is steps away from the Rideau Canal, Ottawa Congress Centre, Parliament Buildings and the Ottawa Rideau Centre. Minto Suite Hotel features complete conference and banquet facilities with the luxury of elegant settings, ideal for your business meetings, receptions, weddings, banquets, and are tailor-made for individual needs and specifications. We offer accommodation for functions from 10 to 200 persons. The Monterey Inn Resort & Conference Centre offers luxurious guest rooms with executive suites over looking the tranquil waters of the Rideau River. We can provide rooms with kitchenettes, seating areas, and handicap accessibility. With spectacular views, comfortable beds, and a calm place for you to settle down, join us as our staff treats you with top-quality service. Discover the Ottawa Marriott Hotel and its warm, inviting hospitality in the heart of downtown Ottawa. Visit nearby attractions including Canada's Parliament Buildings, the Rideau Canal, the Ottawa Congress Centre and the National Gallery of Canada, all within a short stroll of the Ottawa Marriott Hotel's 480 comfortable and luxurious guestrooms. Whether you're visiting Ottawa for business or pleasure, you will feel recharged with the best sleep you've ever had with the REVIVE® bed by Marriott - 300-thread count sheets, down comforters and fluffy pillows. The Quality Hotel Downtown is located in the business center of Ottawa and only a few steps away to the vibrant ByWard Market Square and close proximity to the University of Ottawa. With a prime location in the heart of downtown Ottawa near Parliament Hill, museums and fine dining, the Radisson Hotel Ottawa Parliament Hill offers the perfect setting for your business travel or vacation to Canada's national capital. With all there is to see and do in Ottawa, you will appreciate the relaxing respite that is our Ottawa hotel. Our newly-renovated, stylishly-designed rooms provide you with the comfort you deserve at your home away from home. Make your Ottawa hotel reservations today at the Radisson Hotel Ottawa. Our 4 star hotel complex, recipient of the Ramada Pinnacle Award, is your best choice to discover the Outaouais region either be for a business trip or to simply pamper yourself! Conveniently located just across from the famous Casino du Lac Leamy and only 5 minutes from the major tourist attractions of the National Capital Region. Located in the heart of downtown Ottawa, the Residence Inn by Marriott is a spacious home away from home for business and leisure travellers in Ottawa. Just past the 24 hour Tim Hortons located on-site, within easy walking distance, guests will find museums and galleries, restaurants and entertainment, plentiful shopping as well as key corporate and government offices. The Richmond Plaza Motel is located in the heart of Westboro Village, adjacent to a variety of shops and restaurants. Excellent bus service takes you downtown in only 7 minutes, or you can drive in the same time through the beautiful Ottawa River Parkway with no lights or traffic. Experience a warm welcome and true hospitality the moment you arrive at Sheraton Ottawa Hotel. Located in the heart of Canada's capital, our hotel is just 15 minutes from the Ottawa International Airport and only steps away from Parliament Hill, the Byward Market, the National Arts Centre, and the National Gallery of Canada. Unsurpassed luxury is found in this three diamond Hotel conveniently located only minutes away from the Ottawa International Airport. We pride ourselves in delivering quality, professional service for our guests. It is our goal to exceed your expectations in providing accommodation and services that will ensure you want to return time and time again. Travelodge Ottawa Hotel and Conference Centre is a CAA/AAA 3-Diamond Full Service Property. Boasting Over 20,000 square feet of meeting space, a full convention services department and exceptional customer service. Located just 7 Minutes from Downtown Ottawa - our 128 Room Hotel is the Ideal Blend Between Location, Comfort and Value. Set to accommodate the diversity of our Guests be it corporate traveller, families, tour groups, teams or small conferences, our hospitality delivers a professional and friendly service. The WelcomINNS Ottawa is the first and best choice for the traveler who wants comfort, quality service and amenities at an affordable price. We offer spacious NEWLY RENOVATED rooms with free wireless internet, desk, sitting area, coffee maker, iron, 27" LCD TV or 27" flat screen tube TV's; we also offer Jacuzzi rooms with a King size bed, double adjoining rooms, and handicapped accessible rooms. Our lobby offers guests a large comfortable sitting area with fireplace, free newspaper, business centre, and an ATM machine. The Hotel also offers guests a fitness area and large meeting room for your added convenience.